What is in your opinion the Cadillac of all Saddles? Eugene Minihan patented the all-leather spring tree design in the late 1880's and produced his saddles in Morehead KY. The tree is "hinged" and flexes with the horse's movement creating a more comfortable ride for horse and rider. They feature a suspended seat design where the seat is raised from the tree with webbing. The wide seat also allows for better distribution of rider weight. 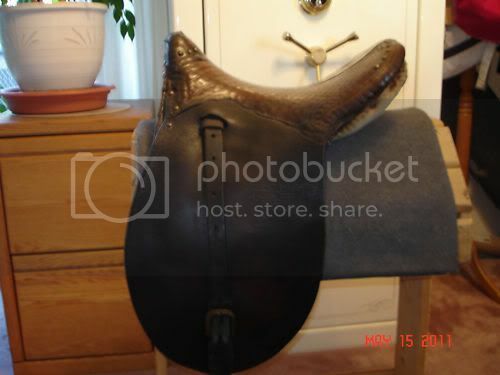 There are several styles of saddles that replicate the wide suspended seat of the Minihan (Buena Vistas are the most popular, also some Kentucky Rollbacks). None of them duplicate Minihan's leather spring seat tree though. Steele makes a modern version of the Minihan tree but it is wood and doesn't flex like the Minihan which gives it a totally different ride so any new versions of the old Minihans just aren't the same. 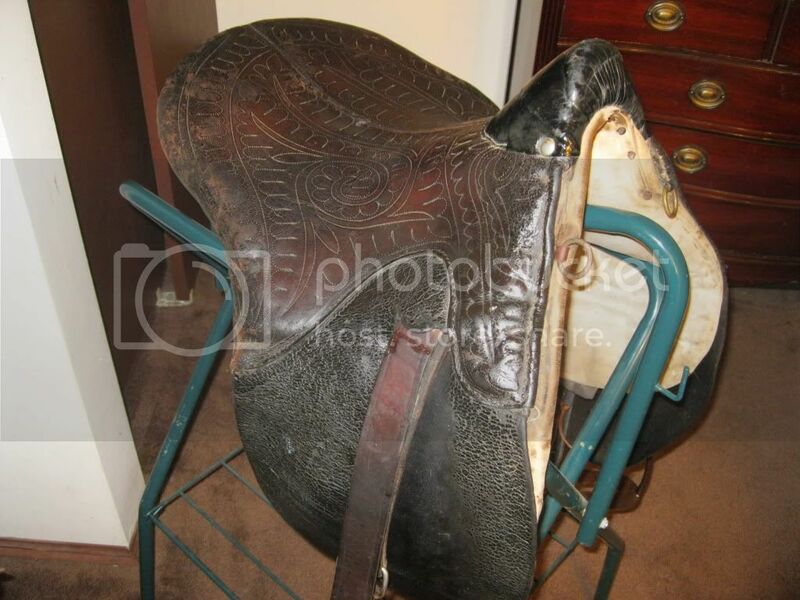 After Eugene Minihan retired three of his saddlemakers continued producing his design on up until the early 1930's, most notably the Applegate saddle (these Minihan-styles are often called Kentucky Stitch-downs). They too have the leather spring seat tree. It is also possible to find modified Buena Vistas that have been stripped down and had the trees converted with steel strips but you just don't get the same flex as you do with the originals. I'm telling ya what, you ride in a Minihan and you'll never, EVER want to ride in anything else. Problem is it's pretty dang hard to find one in usable condition. Even if you do you could spend a fortune having it restored. A completely restored one can cost upwards of $1,800 if it's a true Minihan. Another thing that makes them a tad unrealistic is the fact that they were made for horses in the late 19th century, and horses were a lot narrower back then so not many modern horses can wear one. Modifying the tree to fit today's wider horses can be done but it's tricky and you have to make sure you've got someone good doing the work. If the stars align properly and the saddle Gods smile upon you, and you do ever get to ride in a Minihan you'll be in a super-comfortable saddle that seems to melt on the horse and moves with you as you are riding. It's like having an air-ride system on your horse. When you've got one that fits your horse well, well you just have to ride it to see the difference it makes for the horse and it's stride, comfort etc. A Minihan is a glorious thing to behold. It's a nice ride too, but not quite the same as my Minihan.